Academy aftermath: Although the Wrong Envelope snafu is the big story in the aftermath of the 89th Academy Awards, it's really not Oscar's biggest problem. The embarrassing envelope mix-up certainly threw cold water on an otherwise sparkling night of Oscar glamour that worked beautifully thanks to Jimmy Kimmel's hosting. 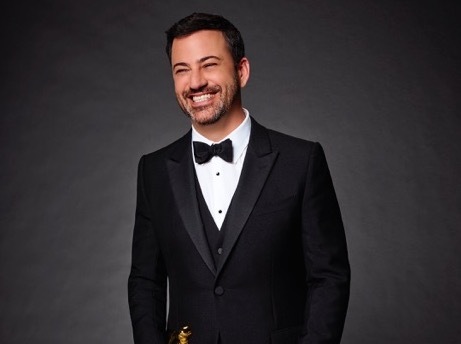 Hopefully, Kimmel will be invited back to host next year's 90th annual festivities. This was apparently the first envelope incident since 1964 when Sammy Davis Jr. had music awards envelope troubles. There were winners for song and score categories and he was given the wrong envelope to present the first award. Looking at online video clips from that telecast, it's clear that Davis handled the problem way better than Warren Beatty and Faye Dunaway did this time around. Nonetheless, #Envelopegate is a temporary distraction that will be avoided in the future through new Academy checks and balances and some there will be some brand new Guardians of the Envelopes with orders not to dare tweet while on duty. The real problem can't be solved as easily or, perhaps, even at all. The problem isn't diversity. Between the Academy's own serious efforts to improve and the good fortune of suddenly having multiple diversity driven Oscar worthy films from which to select nominees, diversity was well served this year. So the Academy's real problem isn't fixable by bringing in 600 more new members of different ethnicities and nationalities and turning them loose to make nominations. The real problem is hidden away and no one's put a cleverly named hashtag group together to focus on it yet. Confronting this particular problem could mean completely rethinking the nature of the Oscars and the process through which nominees and then winners emerge. The problem I'm talking about isn't the telecast's ratings, but it's a big part of the reason for those sinking numbers. This year's show, as good as it was – at least, right down to those last few screwed-up minutes – drew an average of only 32.9 million viewers. That was a drop of about 4 percent from 2016's 34.4 million viewers for a show that wasn't nearly as good as this year's was. 2016's show was down nearly 7.5 percent from 37.3 million viewers in 2015. Worse yet, the 2015 show was off about 15 percent from 43.7 million viewers in 2014. Oscar's plummeting ratings are directly linked to the type of movies that have in recent years become the most likely to attract Academy consideration and get nominated. And that's the real problem the Academy needs to come to grips with sooner or later. For the most part, the films that get into the Oscar race nowadays are low budget indie dramas that mostly reflect serious social and cultural issues. They are, typically, movies that scream out that they're about something "Important." That said, I'm not one of the Hollywood handicappers who were shocked that "La La Land" didn't actually win the best picture Oscar. Actually, I was shocked when Faye Dunaway announced it had won. Despite "LLL's" ongoing success with other groups throughout the endless awards season, it was at the end of the day just a nice romantic musical comedy drama about Hollywood. It really wasn't the type of movie that Academy members are inclined to consider "Important." Writing here Jan. 9 after "LLL" won the Golden Globe for best picture-musical or comedy, I observed: "Perhaps the HFPA's enthusiasm for light hearted entertainment will rub off on Academy members whose taste in best pictures tends to be much darker. "'Moonlight,' the Globes' best picture-drama, will benefit from winning, too, but it also was already a solid Oscar front runner before the Globes were handed out. Unlike 'LLL,' 'Moonlight' was a GG orphan. It took home only one win from HFPA voters. "Of course, that's the GG award that counts the most and with diversity on its side and the potential to be nominated in a number of prime categories, "Moonlight" could now emerge as an Oscar powerhouse. It could become the face of artistic diversity at a time when that really matters to Academy members." Not only did "Moonlight" deliver artistic diversity, it also delivered a storyline that the Academy knew would be perceived around the world as being "Important." The new importance of being "Important" is directly linked to Oscar's ratings decline because, like it or not, moviegoers are looking for entertainment not "Important" stories when they roll into the multiplexes with their kids, spouses and friends and load up on popcorn and candy to forget their troubles for a few hours. I'm not saying Hollywood shouldn't make "Important" serious dramas. There's an audience for them – generally, men and women who are over 50 and live mostly in large urban markets. This demo has in recent years come to be regarded as the Oscar moviegoing crowd. These strong supporters of "Important" films are an under-served demo that Hollywood should embrace. They have larger disposable incomes than their millennial children do and they enjoy moviegoing if there's something playing that appeals to them. They have what movie marketers sometimes call "uptown taste," a term that well describes specialty film audiences. The only problem with making serious films is that if you rely on this older upscale adult demo you generally don't achieve the kind of broad playability that translates into serious boxoffice success. That, in turn, means that not enough people will see such films to care about how they perform in the Oscar race. If too few people have a rooting interest in the nominees' fate, that means too many people don't care enough to tune in Oscar night and devote four hours to finding out who won (or, perhaps, who didn't and then suddenly did). That was a big problem with the 89th Oscars. While there were nine best picture nominees, only three of them had grossed over $100 million domestically through Feb. 26 – "Arrival" ($100.3 million), "Hidden Figures" ($152.7 million) and "LLL" ($140.9 million). Fifteen or so years ago, $100 million was an okay benchmark for defining boxoffice success. Twenty-five years ago it meant blockbuster success. Today, it's a nice number – especially for films made on low or moderate budgets -- but it doesn't translate into a huge audience. The average movie ticket price nationally – but definitely it's not that low in New York or L.A. – is $8.65. If we do the math, that means about 11.6 million tickets were sold to "Arrival," about 17.7 million tickets to "Hidden" and about 16.3 million tickets to "LLL." The other six best picture nominees did much less domestic boxoffice business through Feb. 26: "Fences" ($56.6 million), "Hacksaw Ridge" ($66.9 million), "Hell or High Water" ($27 million), "Lion" ($42.8 million), "Manchester by the Sea" ($46.9 million) and "Moonlight" ($22.1 million). Considering how few people actually saw most of the best picture nominees, why would anyone expect much more of a viewing audience Oscar night than the 32.9 million viewers the Academy wound up getting? Now that we recognize what the real problem is that the Academy must eventually solve, it's important to understand why specialty films dominate the awards season. That's a direct result of the way in which Hollywood promotes films for awards recognition. It's a three step process that begins with films premiering at festivals – starting in mid-May in Cannes and moving on to Venice in late summer and Telluride, Toronto and New York in the fall. How films are received at these festivals determines whether distributors will spend money to market them for awards consideration. Because festivals are dedicated to playing titles that elevate the art of film, the deck is stacked from the start in favor of specialty product. The second step in the process revolves around film critics groups throughout the country who honor the season's best films by handing out awards in early December. By "best," they certainly don't mean ticket sales. Just as they did at the festivals, specialty films resonate naturally with the critics groups. By mid-December, a pack of festival and critics favorites emerges just as the principal awards giving groups are making nominations or voting for early winners. The films that have been part of the awards conversation for months thanks to festivals and critics groups are, understandably, the ones that wind up being seen and voted for by the awards groups. These are the contenders who get bankrolled by the distributors to fight for Oscar gold. By the time the Academy's 6,687 voting members are marking their nominations ballots in early January, the list of likely contenders is well established and it's very difficult to become part of the conversation. Mainstream commercial movies typically don't get into this group. This time around, there was speculation by some Oscar bloggers that the superhero action adventure "Deadpool" might be a surprise best picture Oscar nominee because it had managed to get into some other high profile races. It received two Golden Globe noms (best picture-musical or comedy and best actor for Ryan Reynolds). It won the Critics Choice Award for best comedy. It got a DGA first time feature directing nod for Tim Miller. It was a PGA nominee for the guild's equivalent of best picture. And it had grossed $363.1 million domestically. There was, of course, no Oscar nom for "Deadpool" for best picture or any other category. Academy members don't regard such films as "Important" enough for best picture consideration – although these are the kind of movies that many Academy members earn their livings by making. Ironically, the Academy's intent in expanding the best picture category in 2009 to 10 nominees instead of five – two years later another change was made to allow "up to 10 nominees," but not necessarily always 10 – was to enable the best mainstream studio films to get into the race. The 2009 change came after the much acclaimed superhero action adventure blockbuster "The Dark Knight" had been snubbed by Academy members. Looking at the 10 best picture nominees at the 82nd annual Academy Awards in 2010 (for films released in 2009), we see how the plan started out working well with nods for such mainstream hits as: "Avatar," "The Blind Side," "District 9" and "Up." The winner, however, was the small specialty drama "The Hurt Locker," whose subject – an American bomb squad at work during the Iraq War – was clearly "Important." It definitely was a good fit with the Academy's concept of what a best picture should be like. Another change the Academy made in 2009 that was largely overshadowed by the increased number of best picture noms was the introduction of preferential voting in the top category. It's a byzantine system that has voters rank their best picture choices from one to as many as 10 films in the order in which they prefer them. When the votes are tabulated – hello again, PricewaterhouseCoopers! – a film is better off having been the second or third choice of many voters, who simply liked it, rather than the first choice of a smaller but more passionate group who really loved it. While that's oversimplifying things, it does explain how a well liked "important" indie drama about a serious social issue can beat a well regarded mainstream studio movie that doesn't have the same depth of support. So Oscar's ratings are impacted negatively by Hollywood letting film festivals and critics drive the process through which best picture contenders emerge and then by the Academy letting preferential voting drive the final results. It's a system that works to the great advantage of specialty films and to the disadvantage of mainstream movies and should be dropped. Academy members should elect their best picture winner by popular vote, the same way they elect all of Oscar's other category winners. In the end, it also works to the disadvantage of the Academy, which must improve its ratings if it's going to continue to command the high prices ABC charges advertisers to be on the Oscar telecast. Thirty second spots reportedly cost $2 million on the 89th Oscars telecast. In 2016, they went for $1.72 million. With falling ratings, it's only a matter of time before ad agencies start demanding lower prices. When that happens, the Academy will wish it had made changes when it could do so to level the playing field for mainstream movies. Bottom line: Moviegoers were definitely voting mainstream last weekend, putting 20th Century Fox and Marvel Entertainment's opening of "Logan" in first place with an amazing $85.3 million. It also opened to outstanding international business last weekend with $152.5 million from 81 territories. That's a first weekend worldwide cume of $237.8 million – and for a film that's not being presented in 3D! "20th Century Fox’s LOGAN scored big in IMAX this weekend with a massive $20.6 million in worldwide box office. This is the 2nd highest-grossing IMAX global opening ever for a R-rated film (after DEADPOOL’s $24.4 million). The film...debuted day and date in 1,068 IMAX screens—the all-time widest IMAX release. "In North America, LOGAN dominated with $10 million on 381 IMAX screens. This makes it the 2nd highest-grossing R-Rated IMAX opening domestically (after DEADPOOL at $16.3 million) and the Biggest R-rated March IMAX opening. 17 of the Top 20 LOGAN runs were IMAX locations, once again showcasing the connection that Marvel and IMAX have with moviegoers. "Internationally, LOGAN delivered $10.6 million for the weekend on 687 IMAX screens, including $4.4 million from 388 screens in China, breaking overseas records for the Biggest R-rated IMAX opening and Biggest 2D IMAX opening (both records previously held by DEADPOOL with $8 million)." 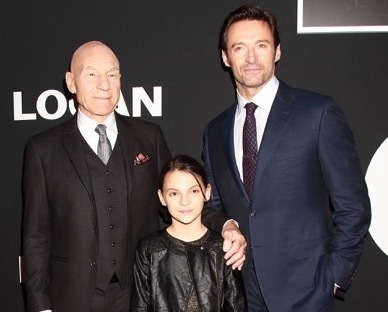 Directed by James Mangold ("The Wolverine"), the R rated "X-Men" universe fantasy action adventure stars Hugh Jackman, Patrick Stewart and Dafne Keen. "Logan's" R rated success echoes that of Fox and Marvel's comic book driven "Deadpool," which opened Feb. 12, 2016 to $132.4 million and did $363.1 million domestically. Now with "Logan" sinking its adult teeth deeply into the boxoffice, it's clear that there's a big audience for R rated comic book violence. While this thirst for comic book blood will probably be impossible for family friendly top tier comic book movie franchises to tap into, it's likely to spur the production of more second and third tier comic book titles that don't have to worry about protecting existing PG-13 rated brands. Meanwhile, the post-Oscars weekend saw "La La Land" in 10th place with $3 million and a domestic cume of $145.7 million. It's also done about $251 million internationally for a global cume of about $397 million. "LLL" was reportedly made for $30 million. "Moonlight" went wide after its best picture Oscar win, adding 979 theatres for a total of 1,564. It finished 12th with $2.5 million and a domestic cume of $25.4 million, which is also its global cume as of now. "Moonlight" reportedly was made for about $1.5 million. Thanks to "Logan," last weekend was up 12.7 percent over last year, per comScore -- $184 million vs. $163.3 million this time in 2016 when "Zootopia" opened to $75.1 million. "Logan's" strength also helped improve the year-to-date comparison. 2017's $1.946 billion, according to comScore, is down about 1.9 percent vs. $1.983 billion last year. A week ago, comScore's tracking had 2017 down by 2.7 percent.